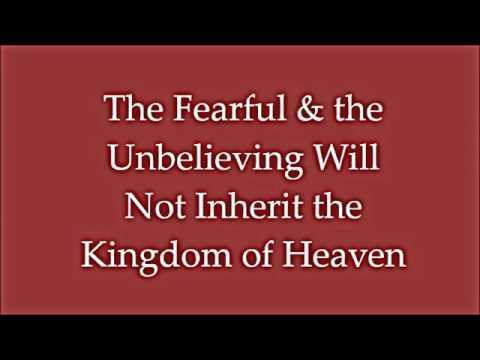 Don’t waste your time on the fearful and the unbelieving, says the LORD. For they will only tend to argue and will not be open to My Word that I have given you to speak. I did not call you engage in endless arguments, but to publish My Word and do My Work. The enemy has planted the tares in My field. Do not waste your energy on them. They will never produce but will only distract you. The seed that I have given you is MY HOLY WORD and it will PRODUCE HOLINESS and righteousness and Peace, says the LORD. Just keep sowing My seeds of My Word that I have given you, and do not worry about the opposition, says the LORD. Do not concern yourself with the harvest that will surely come! Just focus on the task at hand and KNOW that I will not allow MY WORD to return void onto Myself but will watch over it to perform it! My Word is powerful, impacting, and producing, and you are to simply speak MY WORD, do MY WORK, and expect that there will be a harvest as a result. For I will not be mocked. You will reap what you sow, and surely, as I have spoken, your work for Me will be rewarded, says the LORD. I love your words from the Lord!